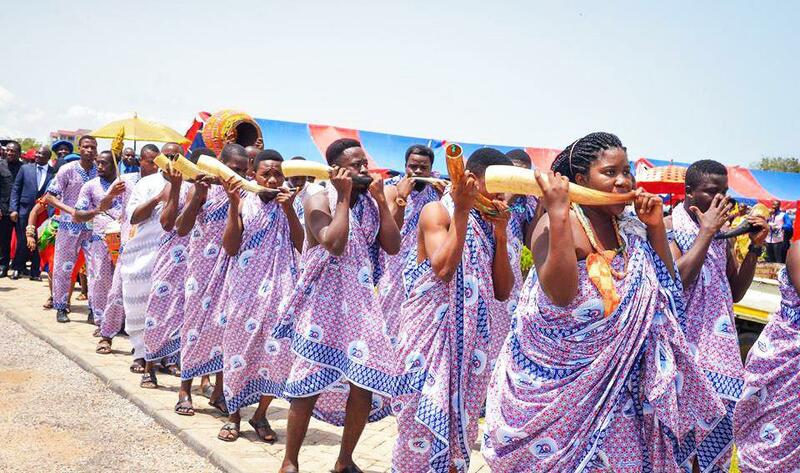 The Government of the Republic of Ghana has expressed its readiness to partner the University of Education, Winneba (UEW) in its Technical and Vocational Education Training (TVET) programmes. This was made known by the Vice-President, Dr. Mahamudu Bawumia on Saturday, 21st April, 2018 during the 2nd Session of the 22nd Congregation at the Jophus Anamuah-Mensah Conference Centre, North Campus, Winneba. 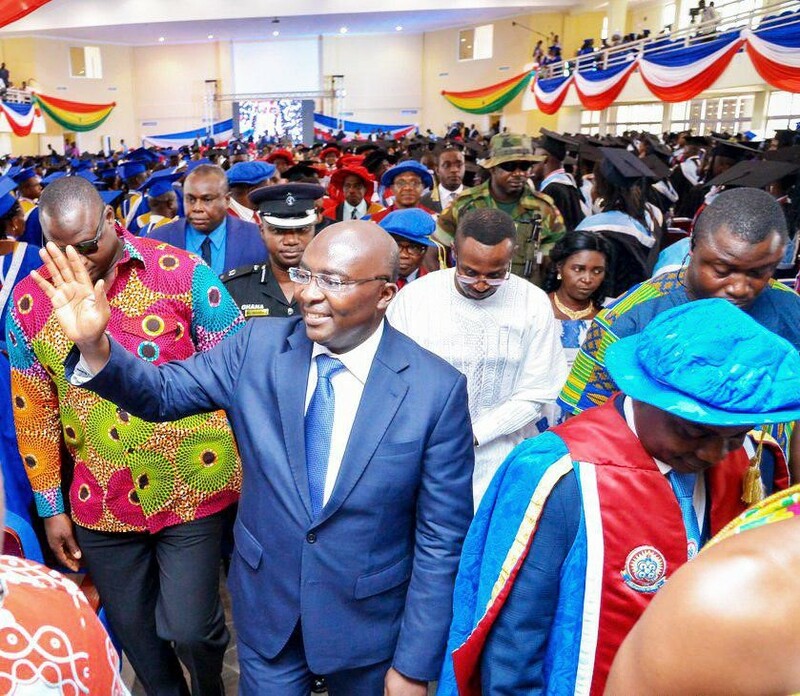 Dr. Bawumia hinted that in the quest of Government to transform the economy through industrialization, there should be reforms in the TVET sector. He revealed that it was the plan of Government to set up a TVET council and TVET service and dedicate a whole division of the education service to technical and vocational education, which would have its own Director General. “I am told that University of Education, Winneba currently serves as the only University in the West African sub region which has the mandate and capacity to train teachers in technical and vocational education through Competency-Based Training (CBT). 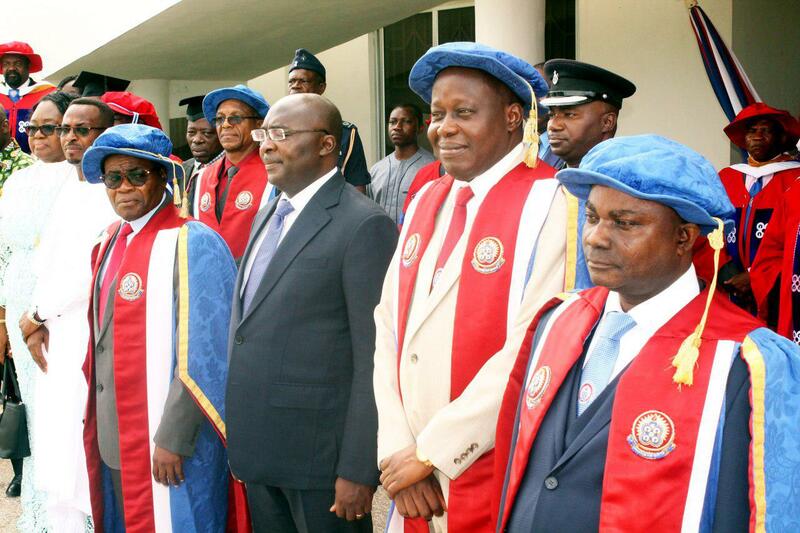 Government is therefore, ever prepared to partner with you, UEW in its TVET programmes.” He asserted. The Vice-President reiterated that Government was embarking on a new programme which would be launched on 1st May, 2018 by the President, His Excellency Nana Addo Dankwa Akufo-Addo. He said the project was named the Nation Builders Corps and it was to supplement all the other programmes run by the Youth Employment Agency and the others. He added that graduates would be hired for that project. “You have seven modules that are going to be outdoored: The Feed Ghana Module where you want to have people who would go in as agric extension officers to help our farmers. We also have the Governance Ghana Module where people will be attached to various local authorities. We are beginning this and this year by the grace of God we will be recruiting 100,000 graduates.” Dr. Bawumia indicated. The Second Gentleman of the land advised the graduands to be selfless, dedicated, visionary, and result driven leaders who would desist from corruption. He therefore, challenged them to imbibe those values. “These values will help us realize Ghana’s current vision of ‘Ghana beyond Aid’. You must be different! Go as ambassadors with a mission and a mandate. Go and change your world.” He addressed the graduands. 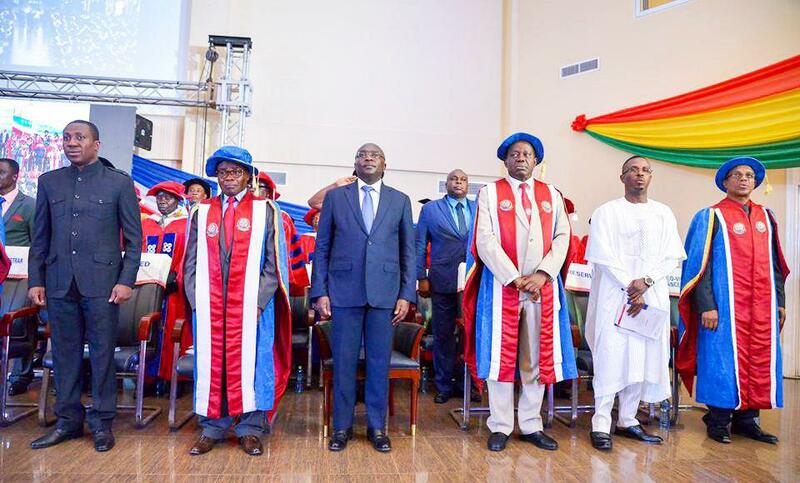 The Chairman of UEW Governing Council, Prof. Emmanuel Nicholas Abakah implored “all stakeholders to be steadfast, unmovable, always engrossing yourself in works that will advance the cause of the UEW and, trust me, your labour shall never be in vain. It shall surely yield the much expected benefits not only to UEW but also to our beloved country, Ghana”. The Acting Vice-Chancellor, Rev. Fr. Prof. Anthony Afful Broni indicated that “the University is grateful to the Government, through the Minister of Energy, for the innovative support that he facilitated for us. Also, our classrooms, lecture theatres, libraries, reading rooms and dormitories are much better lit just as we have repaired and/or added on to our ceiling fans and air conditioners”. 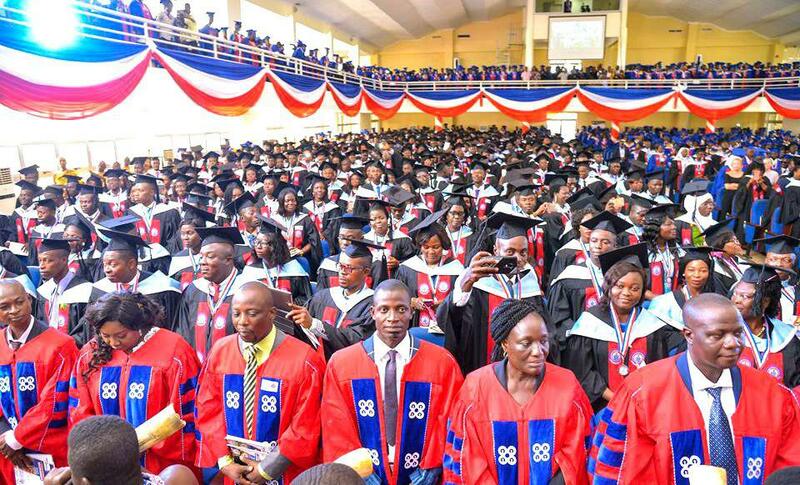 On Friday, 20th and Saturday, 21st April, 2018, the Winneba Campus graduated a total of 3,148 graduands made up of 655 postgraduate students from the Faculty of Educational Studies, Faculty of Foreign Languages Education and Communication and 2,493 undergraduate students from 17 study centres namely: Accra Academy, Accra Attraco, Asamankese, Assin Fosu, Axim, Cape Coast, Dambai, Denu, Ho, Koforidua, Hohoe, Krobo Odumasi, Sekondi, Sogakope, Tarkwa, Tema and Winneba. 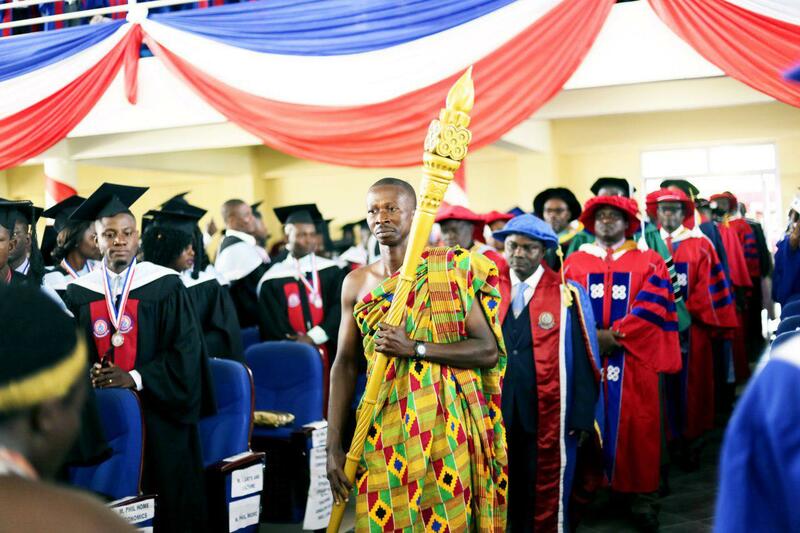 An additional 4,434 students will be graduating at Asante Mampong and Kumasi campuses respectively on Thursday, 26th, Friday 27th and Saturday, 28th April, 2018. In attendance were the Central Regional Minister, Hon. Kwamena Duncan, Member of Parliament, Effutu, Hon. Alexander Kwamena Afenyo-Markin, Municipal Chief Executive, John B. Ninson, Omanhene of Effutu and Ajumako Traditional Areas, Neenyi Ghartey VII, Okokodurfo Nana Kwamena Hammah Ababio II, Acting Pro-Vice-Chancellor, Prof. James Kagya-Agyemang, Registrar, Surv. 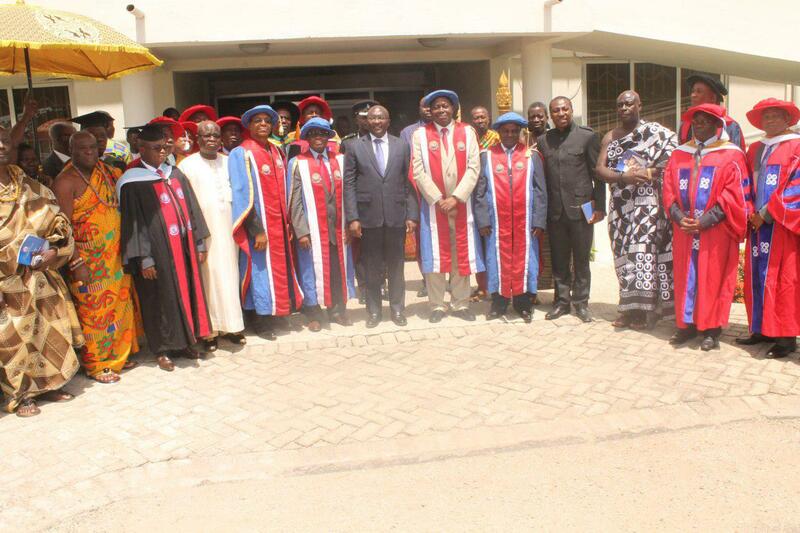 Paul Osei-Barima Esq, University Librarian, Mr. Viscount B. Buer and other University officials.